We had the most brilliant warm fall weather all the way to the winter solstice this year. 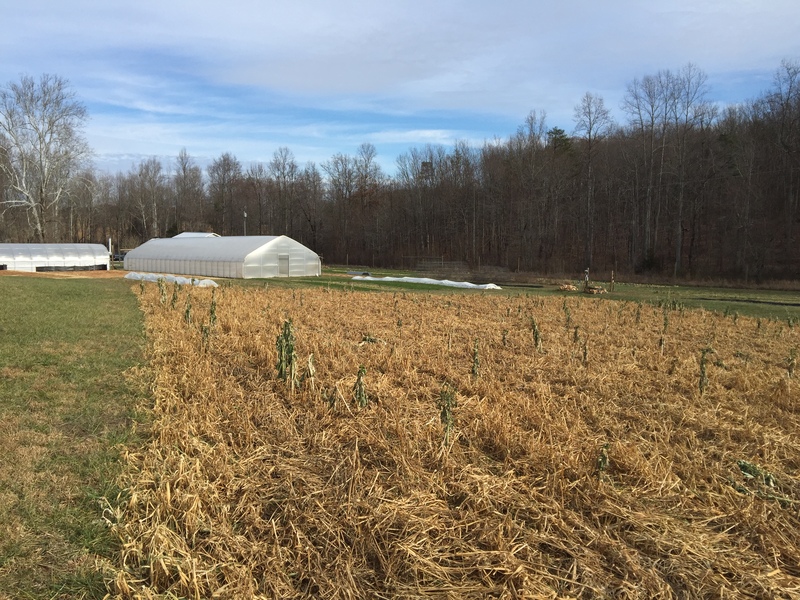 The sustained warmth allowed us to harvest a few crops we’ve not had success with in the past. 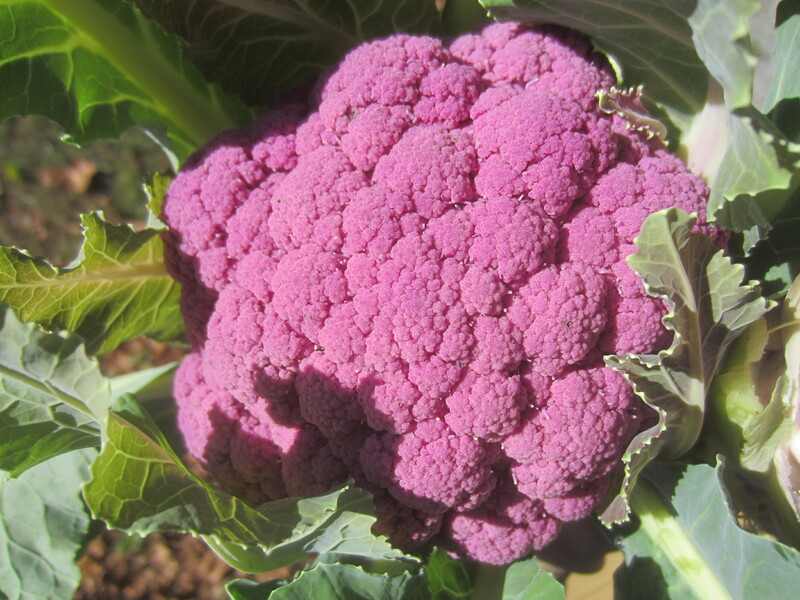 And yet, purple cauliflower is still a no-go. 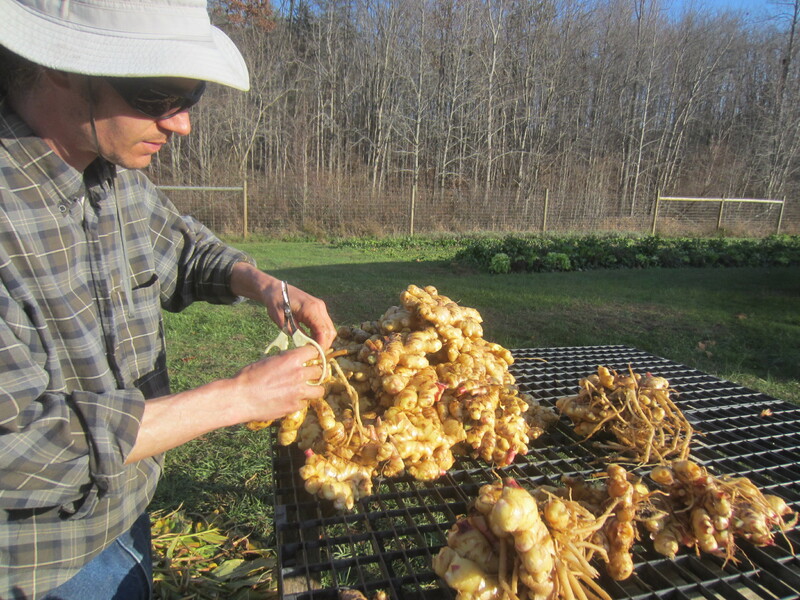 We were able to leave the ginger crop in the ground until mid-December, and had some huge rhizomes to harvest! 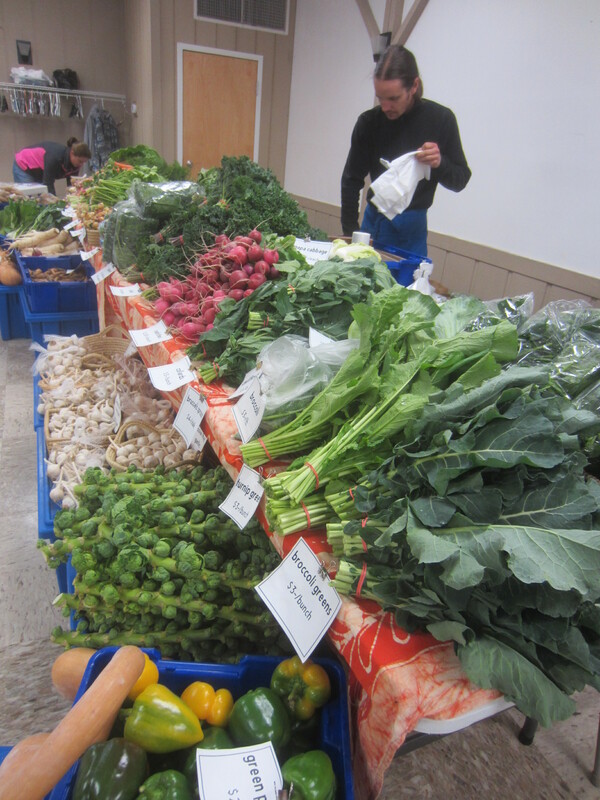 We had plenty for continued delivery to our markets weekly until January, so we stayed busy with harvesting tasks. 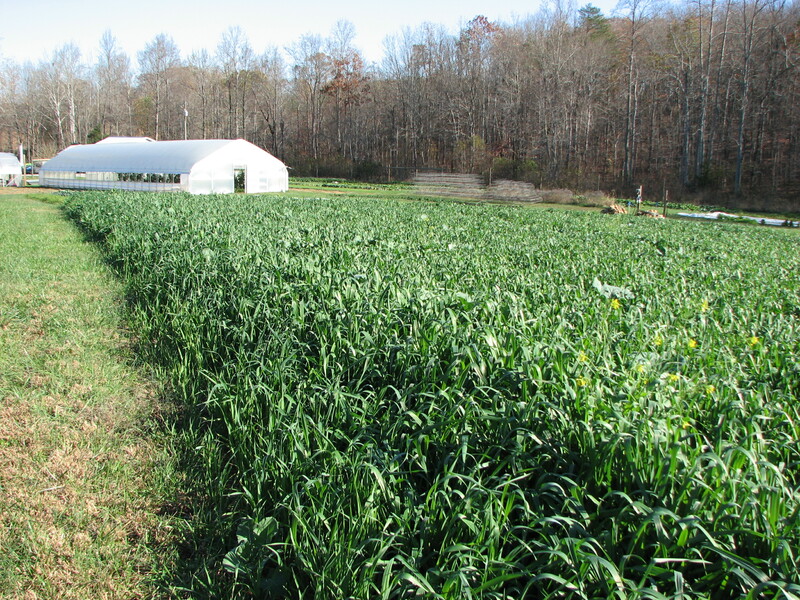 The fall-seeded cover crops loved the extra warmth and grew tall and lush this year. Here’s the same field of oats two months later after it was mostly killed by temperatures around 10 degrees. The oats provide a nice mulch to protect the soil and will enrich the soil for our early spring crops with organic matter. 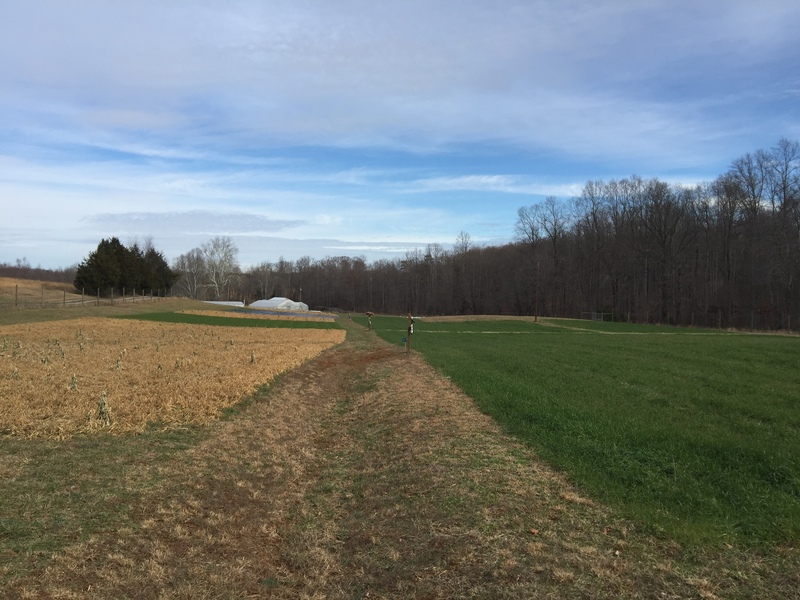 You can really see the difference in the cover crops and our field blocks in the photo below, looking down the drainage ditch from the far end of the field. The brown blocks to the left are the winter-killed oats. 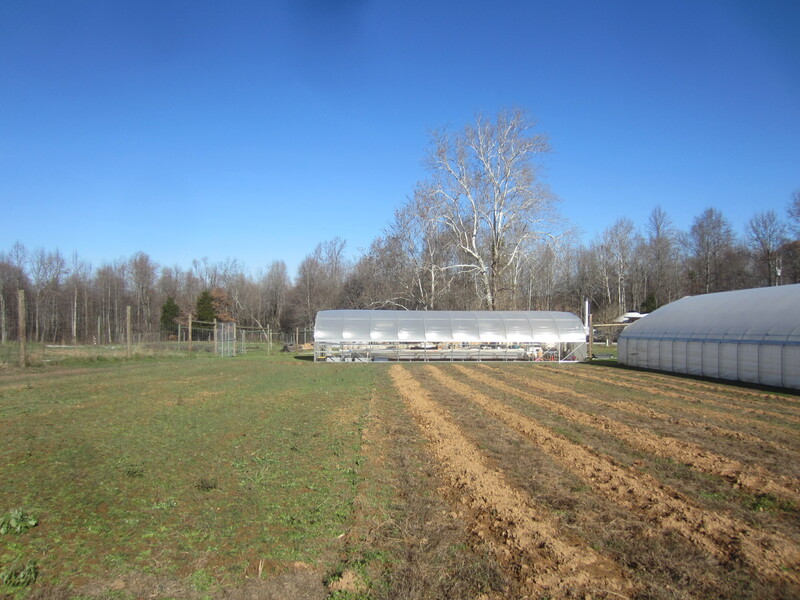 We will plant these sections with early spring crops. The green areas (mostly on the right but some on the left) are a wheat/vetch/clover mix. They are more cold-hardy and will survive the winter and grow tall in spring as they come out of dormancy. Some of these areas will be cut down and turned under in summer to be used as fall planting areas; some will remain in cover for another year. Because we don’t use chemicals to manage our fields, we have to pay close attention to planting dates and work with nature to select the appropriate crops to effectively manage our soils. It’s been exciting for us to finally have all of our available row-crop field areas in production, so we can realize the full potential for a healthy crop rotation. 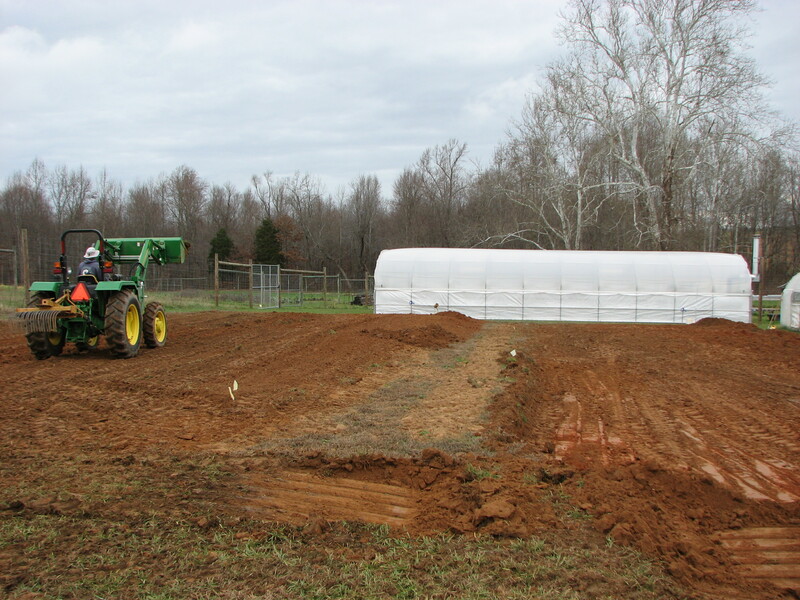 We still have a few more areas within the deer fence which we plan to plant to perennial crops in the future. 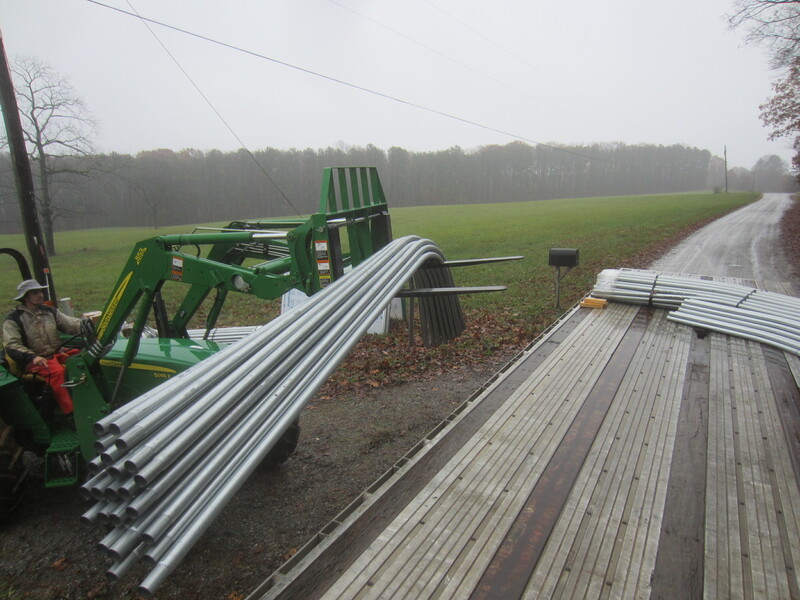 Even though we have done weekly harvests through the end of the year we have been preparing for our winter ‘break’ by gathering supplies for many farm projects. Gavin did a lot of work in the packing shed installing electrical outlets and lighting, and will be finishing up the bathroom walls. 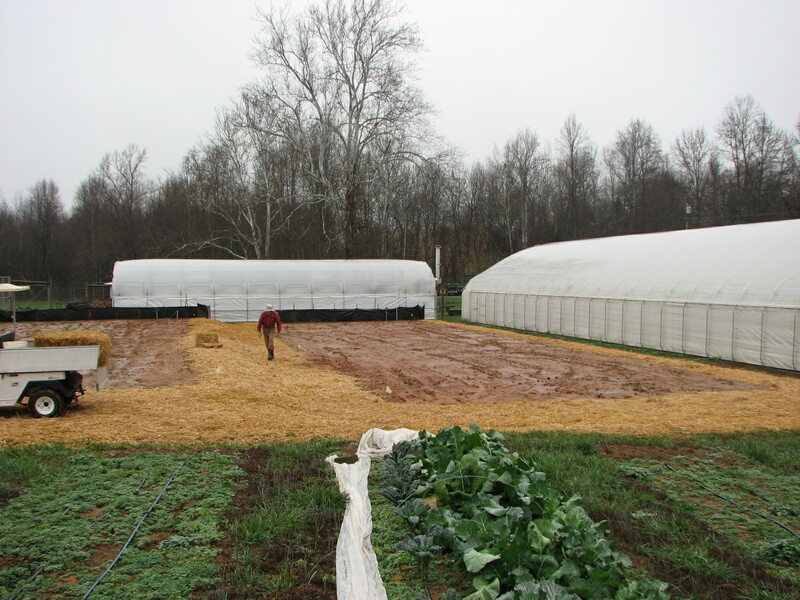 We are getting ready to put up two more tunnels, and received delivery of the metal on a mucky, wet fall day. Unloading freight can be a challenging task, and this delivery was made more challenging as it had rained several inches the day before, and was still raining that morning. 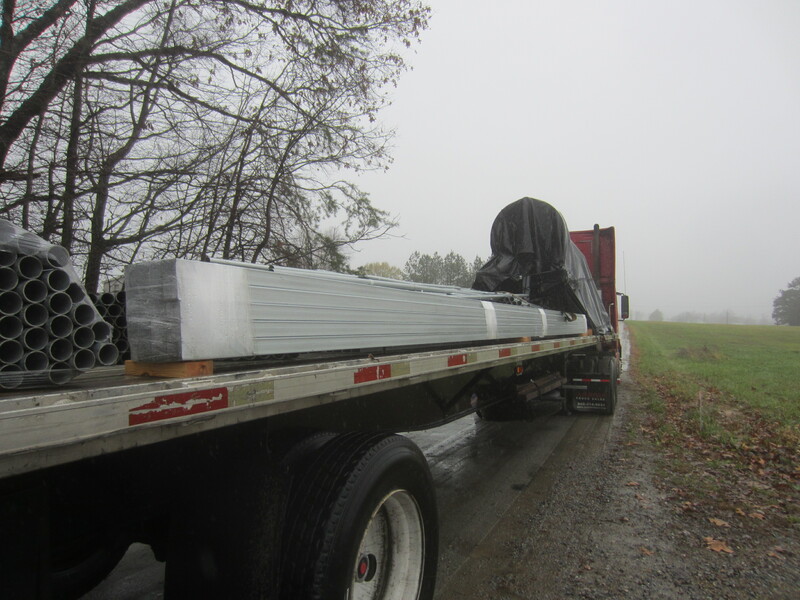 Our driveway isn’t big enough for tractor trailers, so we had to move the metal down to the farm piece by piece on the tractor and pickup truck. We were relieved to get through the day with no accidents or injuries. 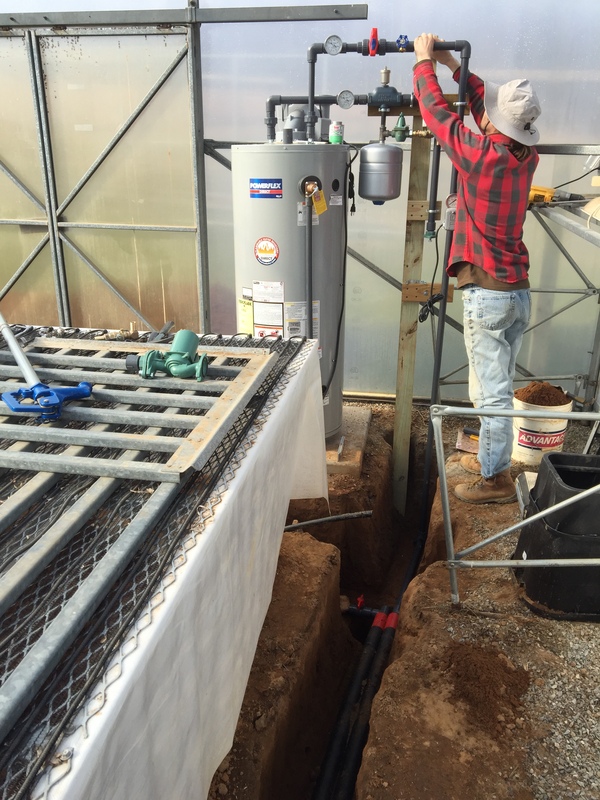 In addition to the tunnel project and packing shed, our other big project this winter is to improve the energy efficiency in the potting house. Gavin replaced the baseboard and installed thermostatically controlled sidewall curtains to replace the a leaky polycarbonate panel system. Previously opening the sidewalls involved walking around to each panel section and moving it along a slotted channel. The panels weren’t very well secured in their channels and wind would often blow between them, sometimes even blowing them out of the frame. The new curtain system provides a much tighter seal. 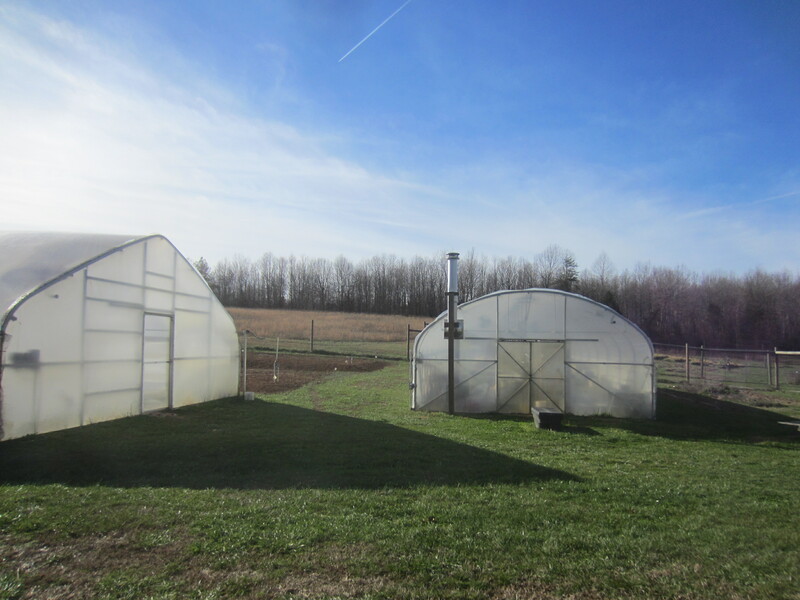 Since it is controlled by a thermostat, we’ll be able to leave the farm without having to worry about opening or closing the potting house to keep it from overheating or freezing. This is the site for the new tunnels. We grew garlic and potatoes here in 2015 and had just finished digging the potatoes in this picture. Our land is far from level (which is hard to tell from the picture), so Gavin spent several days grading, with the tractor and by hand. The site work is done. The pads slope about 3% to the north, and are slightly terraced east to west. 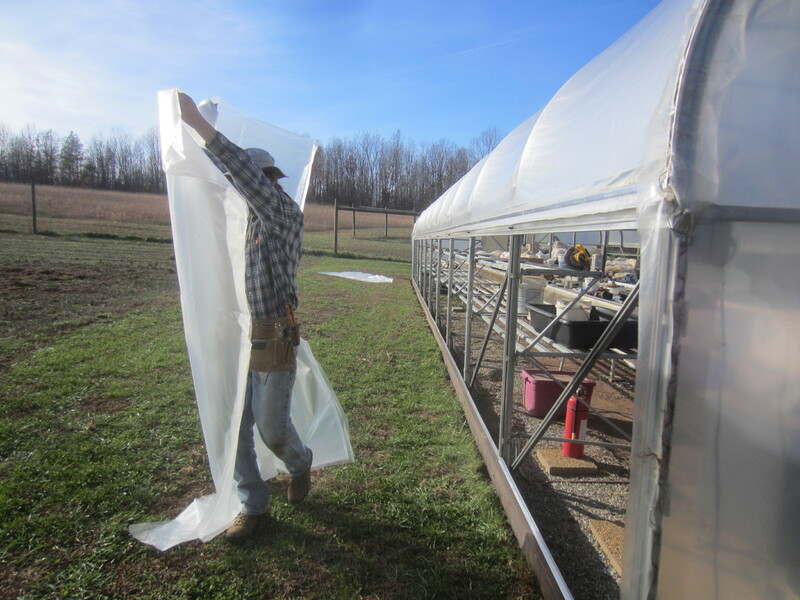 I was investigating how the new tunnels are going to shade the potting house on the winter solstice. It looks like about half of the structure will be in shadow. But by the time we’re starting seeds in early February this should be less of an issue as the sun climbs higher in the sky. 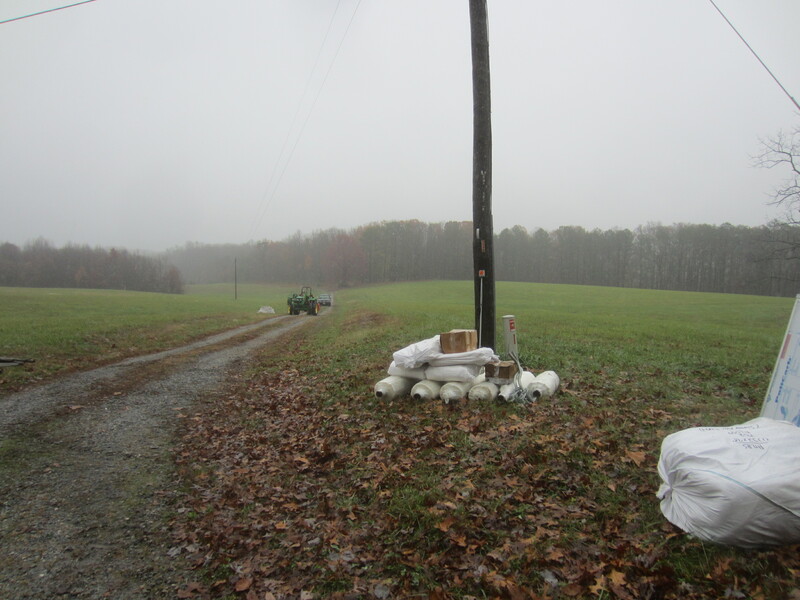 It’s not ideal, but we don’t have a lot of options on our site for building locations. 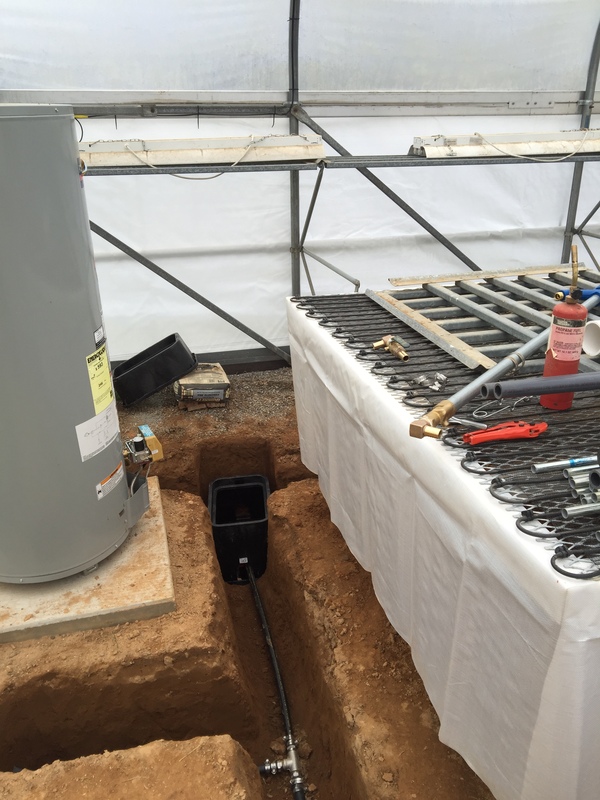 The next project is getting this bench-top radiant heating system working. We bought it to set up last spring but didn’t have time to complete the project before the season started. Seeing all the time that Gavin has put into it already…. Once that’s done we’ll be on to our tunnel building project! 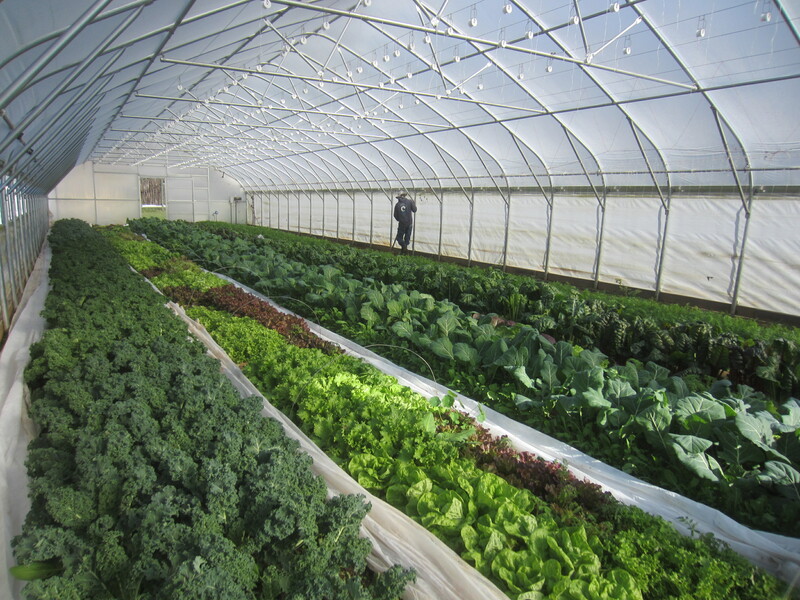 I’ve spent a lot of time this winter working on less photogenic projects of reworking our farm share program sign-up, email, and ordering system, seed ordering, and crop planning. Many of our seeds have arrived and we’re looking forward to an another year of farming! Obviously this is not your “off” time. You certainly have kept busy in the winter months!